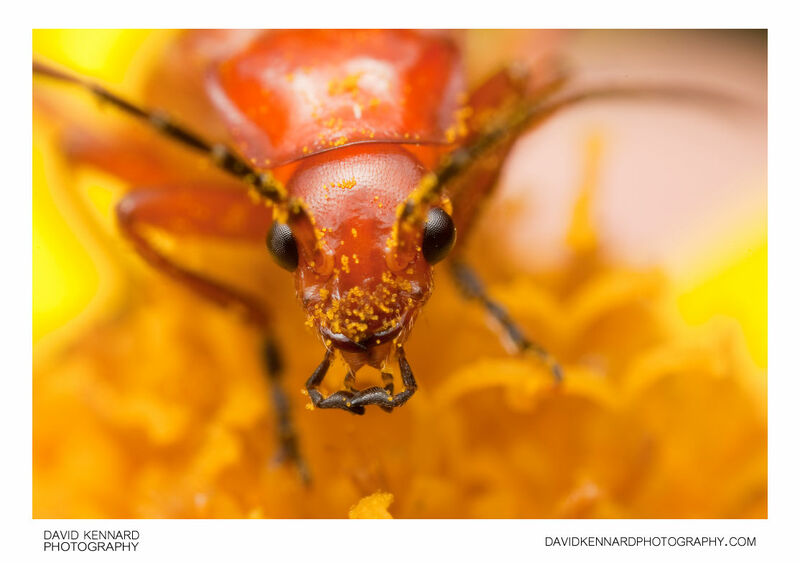 The common red soldier beetle has a reddish-orange body with orange wingcases with black tips. They feed on nectar, pollen, and other insects. They can often be seen mating on umbellifer flowers, earning them the nickname 'hogweed bonking beetle'.